Summing up Dmitry Medvedev’s first two years in office in an interview to RT, the Russian president’s press secretary, Natalya Timakova, said that modernization has been the key word to describe it. It means not only economic development but also the evolution of minds. And modernization is both an ongoing process and still a long-term goal. She also covered several political issues, including the recent signing of the START treaty and the new architecture of European security, and touched upon some sensitive questions like the heritage of the Soviet past. RT: Ms. Natalya Timakova, thank you agreeing to this interview. 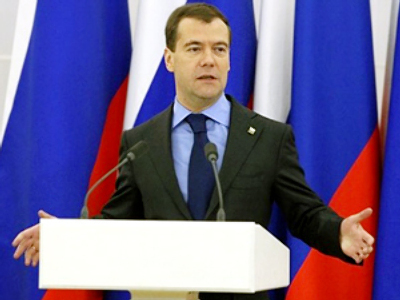 Mr. Medvedev has been President of the Russian Federation for two full years. What, in your view, have been the most important home and foreign policy achievements during this period? Natalya Timakova: It would be better for others to speak about our achievements rather than ourselves. But still, I’d like to mention several things that, in my view, we’ve managed to accomplish over these two years which I believe are sufficiently important results so far of the Medvedev presidency. If we begin with domestic policy, and certainly domestic policy is always our priority, I’d name several major initiatives announced by the President that became central for him during this term, these two years, and the main ideas enabling this country to develop and to march ahead. The first one is the modernisation idea. The President spoke at length about that, both in his article “Russia, Forward!” published a year ago, and in his two addresses to the Federal Assembly. The idea may possibly seem a simple one, but it’s become significantly important for us during these two years. It’s about this country and its economy being due for development, to modify and modernise, because of dependence on raw materials, on oil and gas, and on the prices of raw materials and their delivery. This model, which regrettably we have acquired naturally over the recent past – not five or ten years, but more like 20 years – no longer works. For this country to go on developing, for it to be competitive in the world, new technologies and an innovation-based economy should develop, and support for the most brilliant and new ideas is needed. 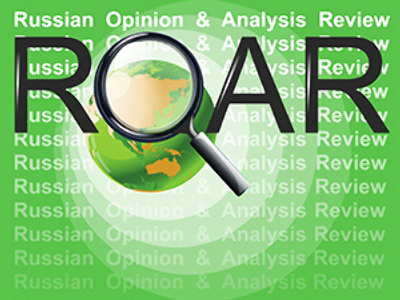 The President’s article, “Russia, Forward!”, provided a tough appraisal of the situation the country was in, as he saw it, which surprised many people. But the President thought it possible to proclaim a new course designed to rid the country of its dependence on raw materials and to make it more modern and flexible. And the financial crisis that broke out last year has only confirmed the truth of this idea, because the dependence on just one economic sector, oil and gas, has impacted strongly on Russia as well. But eventually we have weathered the crisis with fairly good results. We should mention in this context the co-operation between the President and the Government and the Prime Minister. So at this point we can go back to the pre-crisis ideas and start developing our economy in a new environment, with account taken of those new ideas. The President certainly has maintained his focus on social policies. Such a thing as quality of life is, without doubt, of importance to him, and despite the crisis there were neither pay nor pension delays. On the contrary, pensions were regularly indexed, and this makes it possible not only to keep social stability but also to pay back a fair social debt to our grandfathers and grandmothers as well as mothers and fathers. Anti-corruption is yet another important idea that the President is active in promoting. It’s a long-term project and expecting it to pay off today or tomorrow would make no sense, because the President has said repeatedly that such a thing as legal nihilism that, unfortunately, permeates our society from top to bottom cannot disappear overnight. It’s a matter of general upbringing and correct behaviour. At the same time, there are concrete measures and methods to be used in the fight against corruption, and the President has expanded those measures over the two years. An important thing that has happened twice in the course of this year is civil servants and their wives or husbands declaring their incomes. That it happened last year, and that it happens this year is very important. If last year people were just keen from human curiosity to know what cars and apartments the officials had, this time we see a detailed and composed analysis. As I see it, the fact that this idea has been expanded to include officials in other departments of power and who now file declarations, this helps to increase transparency and to improve control and accountability, both by the public and by the relevant agencies. Besides, there is a functioning anti-corruption committee that not only works to improve legislation, which is also important, but also works to devise new practical steps to fight this very serious social phenomenon that certainly slows down this country’s development. Speaking about foreign-policy issues, I’d single out two most important points. During these two years these are… I can’t say they are victories because we are not at war with anyone, but possibly they are major foreign-policy achievements. I mean the signing, with President Barack Obama, of the START-3 Treaty and the recent signing and ratification of the treaty extending the lease of the Black Sea Fleet’s base at Sevastopol for another 25 years. These are two things that, in my view, are highly important both for Russia’s foreign-policy positioning and its relations with all of its neighbours, regardless of the fact that relations with Ukraine certainly impact on all relations within Europe. And, of course, if we speak about START-3, it’s a treaty that on the whole modifies the non-proliferation situation. Two major great powers, the two powers with the most powerful nuclear potentials have shown an example to the rest of the world….with an incredible amount of personal involvement from both presidents… During the year that the treaty was in preparation they had more than 15 contacts. This kind of intensity was absent from our relations for quite a long time. Aside from being a good example to all other countries, it is a very good example of how Russia and the United States can achieve joint aims. RT: Is Russia fully satisfied with the results of the signing? NT: Any such major treaty is a compromise and means concessions, but we think that the treaty, such as it was signed, is not detrimental to this country’s defence capability, nor jeopardizes its nuclear potential, but it certainly promotes détente in the world and nuclear weapon reductions on this planet. RT: Let’s speak about Russian-U.S. relations in the Obama administration. We have a new term, relations reset. Is the reset over, as you see it? Or perhaps there is something left to do? NT: I’d say it’s a longer-playing process. I wouldn’t limit it by this treaty alone. Even sociological polls show that Russian attitudes towards America have been improving, which seems an important thing as well, because we don’t think about personal contacts between the leaders alone. They might be fairly good. Basically Vladimir Putin and George Bush always had pretty good personal contacts. The important thing is what this contact leads to, and how this influences the life of ordinary people. I think that after the signing of START-3 both President Medvedev and President Obama are keen to shape a new agenda in Russian-U.S. relations and to continue this co-operation. Economic co-operation and modernisation, for example, are priorities that have been actively supported by the U.S. side. President Obama has invited President Medvedev to visit Silicon Valley to see how America handles innovative technologies and how it operates its smart economy. It seems to me that this is yet another opportunity for the reset process. RT: We are going to have a Silicon Valley of our own soon. What does it mean in practical terms? Does it mean thinking about how to save and maintain our human resources? NT: I think it’s not only a matter of preserving our human resources, although certainly it’s important, but also – and the President repeatedly stated as much – the world has gone global. In principle, it’s not so important where this or that person takes a college course or has a job. The world is global: global companies, global discoveries… The important thing more probably is that innovations and what’s produced in Russia should stay in this country and work for this country. I wouldn’t say that Skolkovo is going to be a carbon copy of Silicon Valley, which took shape during a definite period and on the basis of technologies at the time. I think it won’t be just a technopark which the best minds will be drawn to, but that it’ll have innovations all around, including in living conditions and standards of living. I think it’s a good opportunity for inviting Western scientists to work in Russia, for creating decent conditions for everyone wishing to produce something new, for everyone with ideas, primarily for Russian minds – but we are also ready for the participation of our Western partners. RT: You mentioned modernisation several times. And modernisation is a word that is often used in the context of Russia. It has acquired a broad meaning. But what does President Medvedev mean when he says “modernisation?” What primarily is modernisation for Russia? NT: He specified it in detail. It’s a general process. It doesn’t concern economic modernisation alone. As I said, it means moving away from our dependence on raw materials. It means developing new hi-tech industries. It is intellectual property and the development of the spectrum of intellectual services. But hopefully it’ll entail changes in the way of life because the same energy-saving light bulbs should teach people how to be more sparing in terms of the resources of nature, for example, including ecology. Their service life is longer, and it’s a totally different approach from the point of view of energy efficiency. In the Soviet Union, we couldn’t have boasted of being very attentive to what and how we consumed. Making it a rule to turn off the lights was not for us. It was cheap and it never entered into people’s minds. Today in the global world, resources are limited, if we speak about the planet as a whole. And it seems to me that this modernisation should make people change deep down, becoming, if you will, more intellectual. RT:Let's get back to foreign policy and talk about international co-operation agreements that are very important to Russia. President Medvedev has been repeatedly proposing and advocating a unified European security system, which seems to be a way to solve many problems between Russia and Europe and Russia and America. However, Europe eyed that initiative with polite apprehension. Why is it so and what is going to happen next? NT: Well, indeed, the idea of a new European security treaty was proposed by the President a mere month or two after he took office. What's especially important is that it happened before the Georgian-Russian conflict. The armed conflict in August 2008 only confirmed the necessity of a new treaty. At first, there seemed to be plenty of organisations in Europe that include enough countries to be able jointly to solve any conflicts or issues. These are the OSCE, NATO, and, above all, the EU. 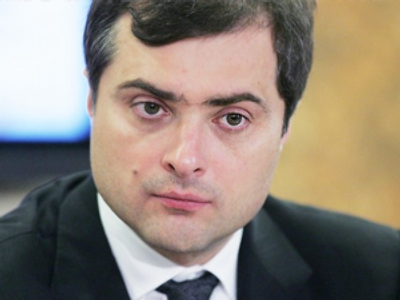 At the same time, however, the situation in Georgia showed that the existing mechanisms are insufficient; moreover, they cannot prevent an armed conflict if either country is not a NATO member or, as was the case of Russia and Georgia, neither country in the conflict was in NATO, and neither one was a EU member. Well, yes, both of them were OSCE members, but the international authority of this organisation seems not enough to be able to solve such conflicts. Actually, after that conflict, the idea of a new treaty that would unite all European countries and lay down mechanisms for the prevention of such conflicts was viewed in a completely different light. I think I agree with you that many of our European counterparts view this idea with polite interest but without much enthusiasm so far. However, over the two years that President Medvedev has been communicating with his colleagues and counterparts in Europe, America, and Canada, more and more politicians begin to think that such a treaty is feasible because, first, there are no universal regulation mechanisms – and everybody realises that – and secondly, the world has changed a great deal. It has become immensely global, and the world financial crisis only confirmed that. The world probably needs new rules, new schemes of interaction, and probably a new comprehension of the situation we’re in, because there are no blocs now, no conflict between capitalist and socialist regimes, no ideological differences; there is one single common civilization. What is evident is that there is an empty space that needs to be filled, and I think nobody in Europe disputes that today. RT: Different views exist on the declassification of documents related to Katyn. Do you think it is possible to speak of a transparency in new foreign policy? NT: Well, I would like to refrain from any comparisons, but I'd say that one of the key features of the policy conducted by President Medvedev is its transparency. It consists of an openhearted and trustful dialogue with all counterparts, including talks on sensitive multilateral issues, and membership of international organisations that regulate various aspects of our life. Just a few hours after our conversation here, President Medvedev will be meeting in the Kremlin with the acting President of Poland to hand over the copies of 69 volumes of the Katyn case files. Of course, it is a very important step. It is important not only for Polish-Russian relations. The Polish nation has come through a great ordeal over the past month, and Russian people shared their grief. Well, I think it’s a new, positive step that's important not only for Russian-Polish relations, but for all of Europe and for our country as well. Reconsideration of history and an honest understanding of it do not humiliate or disparage a country at all. On the contrary, only strong countries that are confident in their past and future can do things like that. RT: You said in the beginning of the interview that most part of Medvedev's presidential term has taken place against the background of the global economic crisis, but you said we were through the crisis. Can we say now for sure that we are through? After all, some say that the worst is about to come yet. NT: Well, frankly speaking, if we look at what's been happening with Greece and the EU and how stock markets have been reacting to that, certain fears that the crisis may be back do exist. Many analysts have been warning that the situation with the Euro may become just as severe. Anyway, I think – and the President has said this repeatedly as well – that the world is united now, with the emergence of such communication formats for state leaders as the G20. The world has realised the need to have common rules. The world's biggest economies gathered together to discuss ways of getting out of the situation. Indeed, there were countries there that previously it was impossible to imagine sitting behind one table. Sure, the economic models of China, Argentina, America, Russia, and Germany differ very much from each other, and there are certain ideological differences among countries, but the fact that the economy has become global and that a drop in the U.S. dollar's exchange rate may lead to a surge of unemployment in, say, a third-world country is now evident to everyone. There is still a lot to do, though. The G20 format has proved to be efficient, with many interesting solutions and ideas having been proposed. The question now is how they are going to be implemented. There are still problems with that. RT: Again, a bit more on modernization. 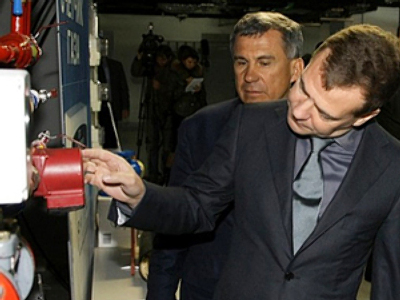 Medvedev is the first Russian President to keep a blog. Basically, any person can comment on his entries. How efficient is this interactivity? For example, can I write, "Mr. President, I've been hurt by a crooked police officer!" Will he read that? NT: Well, first of all, it's a natural environment for the President. He is indeed an active internet user; he has said that a number of times. In this regard, starting a blog seemed a natural step for him. It's not just following a trend or some gadget; it is an environment that is interesting to him and where he spends a lot of time, getting information and making his own opinion on various matters. When we were establishing the blog at Livejournal – the most popular such resource – we realized that it's going to be an important step and that people will sure expect some response from us. As for now, I think we have a certain regular audience, and we are grateful to them for the interest they show and for the opinions they leave in the blog. Today, I would divide what is written in the blog into two main categories: the first are people's opinions on various current issues and the President’s recent posts and statements in the blog; the second consists of what people are talking about – problems, pleas for help, and so on. We do our best to respond to all those inquiries. If we see real people behind the requests, we make every effort to involve relevant ministries and authorities to help people in their troubles. For example, on the eve of May 9th, especially given the President's attention to everything connected to this anniversary, we made a special report on cases of authorities' failures to provide housing to veterans. The information was sent to our Control Department, and if we are given all the information (exact region, address, names and so on), I am sure that every individual case will be checked and corresponding measures will be taken. RT: Does he read the comments? NT: Yes, he does, of course. I'll tell you frankly that when we were thinking about starting all this, we thought he might have the time to answer some of the comments personally, but the public interest was so great that we found it impossible. But I guarantee that he reads and sees the reaction and that there is feedback: we get very many direct orders and instructions from him that relate to situations described in his blog. RT: When the President was in America, someone asked him if he was in email correspondence with President Obama. 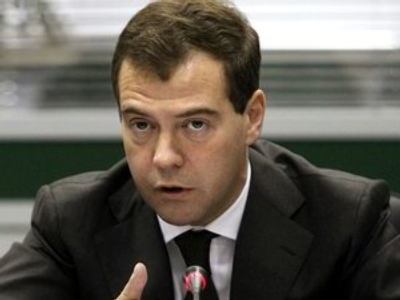 Mr. Medvedev responded that it would be great if they started to chat via their iPhones. Have they began doing it yet? NT: Well, I'm afraid that the special services of both countries would hardly approve of such communication. RT: Ms. Timakova, you spend a lot of time around the President at work. To what extent do you think the image of the President formed in the Western media matches that of the real Medvedev that you know? NT: That's a tough question. Of course, people may have different opinions on what the President says or does, and it's my job to make sure that his ideas and initiatives are properly understood by mass media and then the public. Perhaps if there have been some misunderstandings, they may have been the result of me doing a poor job, but on the whole, I think the Western press is quite adequate in its evaluation of what is going on in Russia. Of course, there are very many stereotypes that are very difficult to give up, and I'm happy every time journalists manage to do it and give an objective account of developments in the country. Of course, there has not been a single interview without the question about relations between Medvedev and Putin being asked. Everybody knows what the answer will be, but still, it's become a sort of a ritual. Well, things like that can be funny or surprising, but still, it's the reporters' job. Our job is to convey information and ideas in the clearest way possible and to make sure those thoughts and ideas match a civilised image of our country and its development. The interview was recorded on May 7.